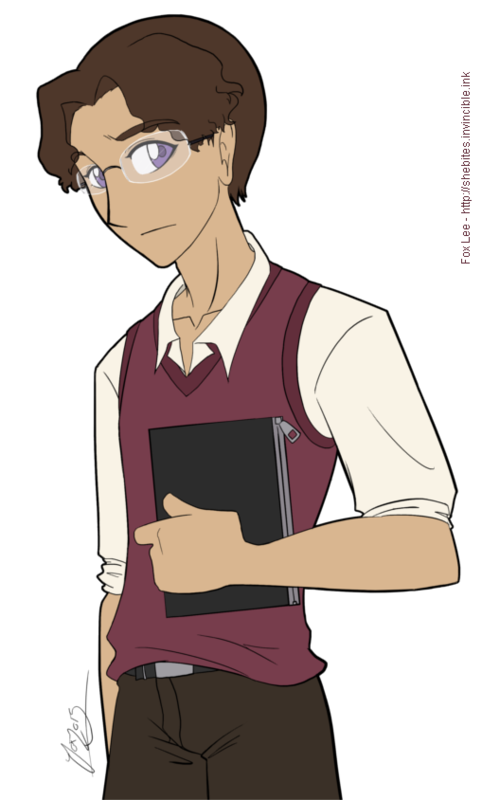 Sprite for one of the characters from my first completed VN, Where Ages Go! You can check it out on this site if you want, or go straight to itch.io for the download. Hurray for NaNoRenO! You get to name the characters in the game, but the default name for this one is Micah. He's a responsible, mature young man studying medicine at university and working part-time at his uncle's pharmacy. His family, who emigrated before he was born, are very close-knit and have (perhaps unreasonably) high expectations of him. Being deliberately serious and well-behaved, he has some trouble being emotionally honest.